We’ve made it through all of our fit adjustments, and it’s time to get to the fun part. This lesson will cover cutting out your Sorbetto, transferring pattern marks, and staystitching. Be sure that you’re happy with the fit of your muslin before you slice into your fashion fabric. Also, don’t forget to pre-treat your fabric! First, fold your fabric in half, selvage to selvage, with right sides together. It’s critical that you fold your fabric on grain, meaning the threads aren’t crooked across the fold. If you fold fabric off grain, the bottom edge will look funky and there will be diagonal lines in the fabric. Slide the layers back and forth until the fabric relaxes and the bottom fold is nice and flat. 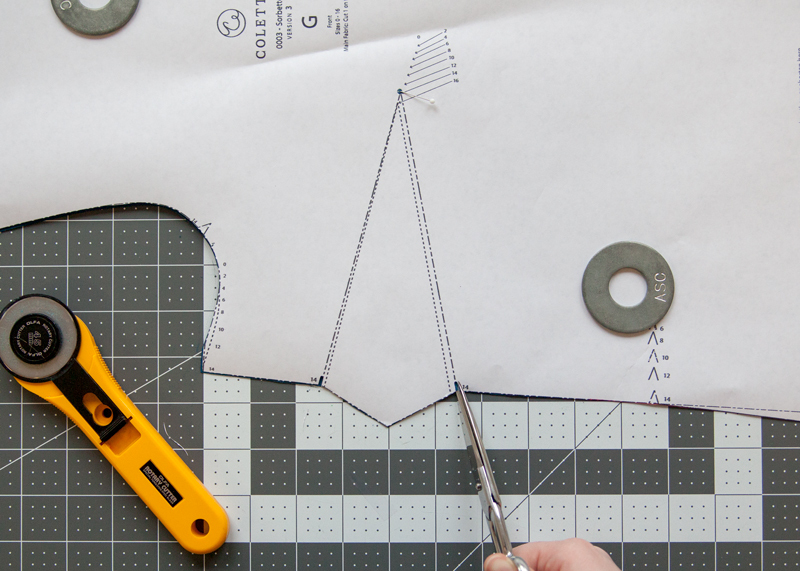 In the instructions, find the cutting layout for your size, fabric width, and version, and lay out the pieces as shown. Keep in mind that the cutting layouts are for non-directional fabrics. If you are using fabric that has a nap or a directional print, make sure all the pieces are running the same way as you lay them out. 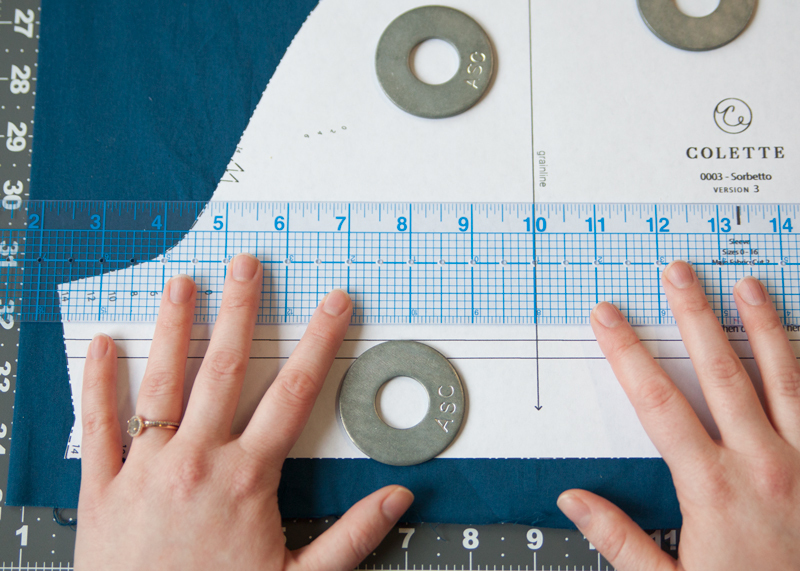 Use a ruler to make sure the grainlines on the pattern pieces are parallel to the fold and selvage. 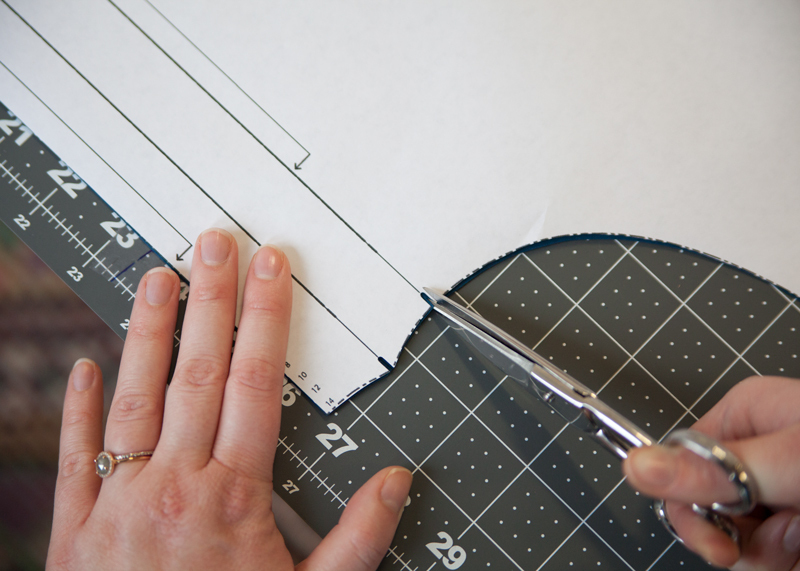 Once your pieces are cut, carefully snip any notches along the pattern edges using only the tips of your scissors. It will also be helpful to put a tiny snip on the center front fold edge of the center front neckline. To transfer the dot markings on the bodice pieces and sleeves, stick a pin through the dot and use a water souluble pen to transfer the markings on both fabrics. To transfer the pleat markings on the front bodice piece, snip into the two pleat lines at the neckline and hem. Stick a pin through the point of the dart and use a water soluble pen to transfer the marking to the wrong side of your fabric. Snip a small notch at the end of each dart leg to mark. 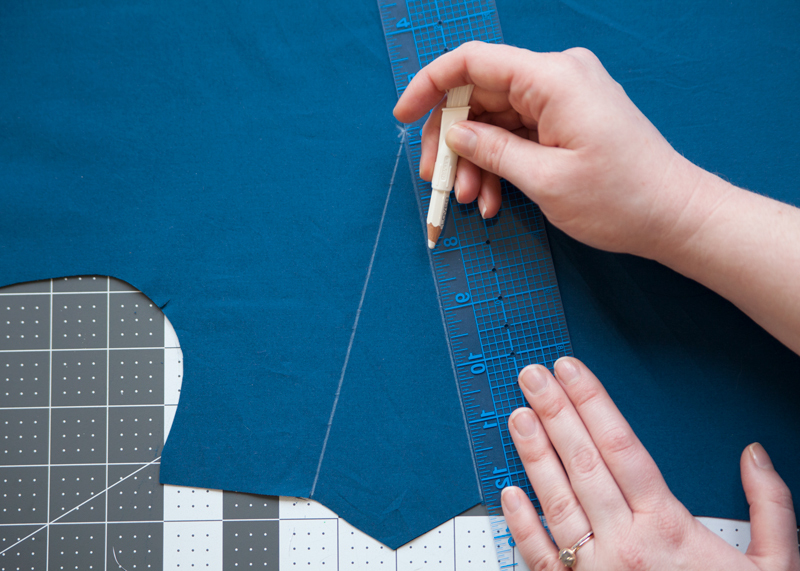 On the wrong side of your fabric, use a ruler to draw a line from the dart point to each leg notch. Staystitching is a straight stitch sewn through one layer of fabric. It’s most often used around a curve to prevent distortion. This is because the curve cuts across the bias, the stretchiest part of the fabric. To see this in action, cut a curve out of some scrap fabric and then pull on it. You’ll see how that curve completely changes. That’s much more extreme than what would happen to your garment, but you get the idea! While staystitching is most often used around necklines, you can use it anywhere there are curves or diagonal seams that you think may become stretched out. 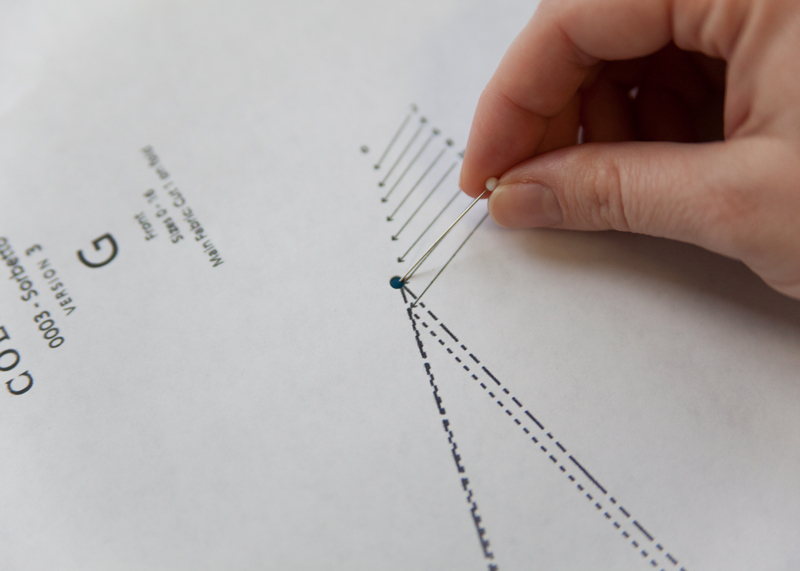 To staystitch a curve, set your stitch length to 1.5. Smaller stitches like this create a stronger hold. The standard is to sew 1/8” away inside the sewing line. If your seam allowance is 5/8”″, stitch 1/2″ away from the raw edge. It’s important to staystitch shortly after cutting out your fabric. Simply moving your fabric around a few times, depending on the fabric, can stretch out curves. For curved areas such as necklines, stitch from the edges toward the center. In other words, begin at one shoulder and stitch to the center front. Cut the thread, then sew from the second shoulder to the center front. This keeps the staystitching even on both sides of the garment. 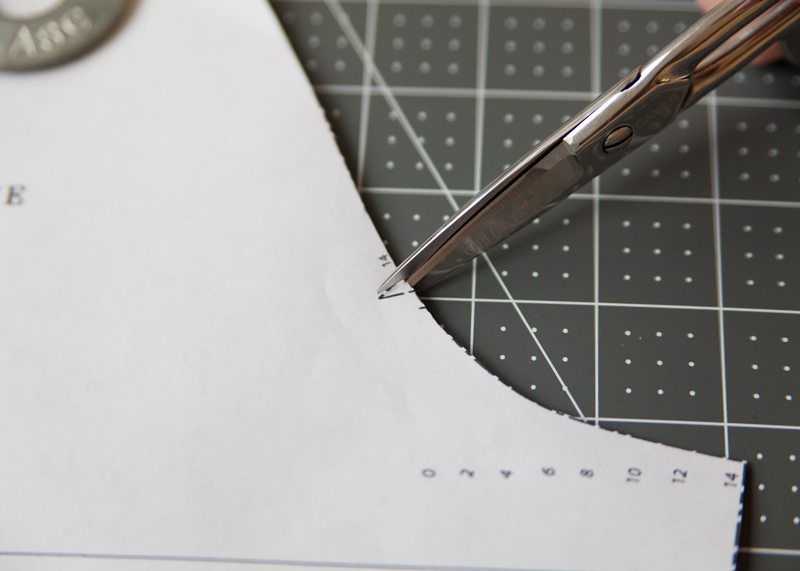 The New Sorbetto instructions call for staystitching to be done 1/4″ away from the raw edge of the neckline. 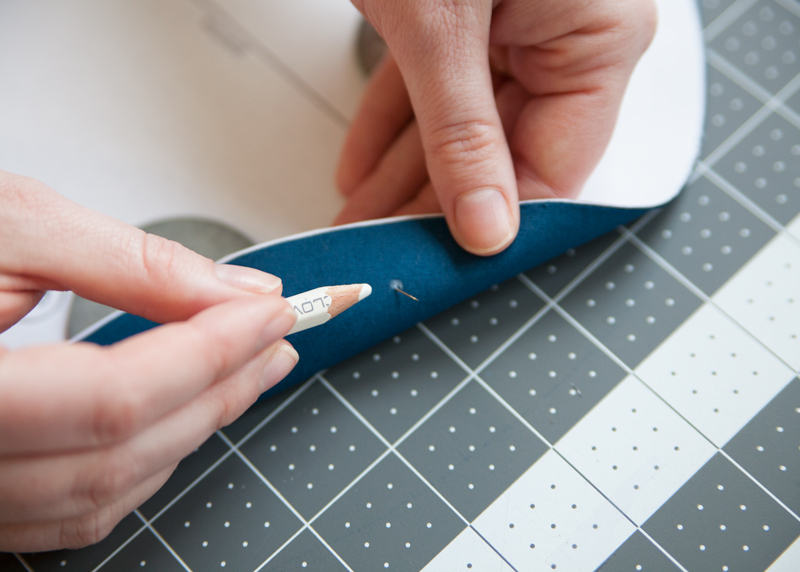 If you are worried about having to remove the staystitching after attaching the bias binding, 1/8″ works as well. Use the diagram below as a guide for staystitching your Sorbetto pieces. In the next lesson, we will assemble the bodice for all three versions! The directions above say to staystich at the 1/2″ mark, so I did, with a very small (1.5) stitch. The pattern instructions, however, say to staystich at 1/4″. Which is correct? If the 1/4″ is correct, I’m worried that I won’t get my 1/2″ stitches removed without damaging the fabric, so is there a workaround? Thanks. The instructions above read “To staystitch a curve, set your stitch length to 1.5. Smaller stitches like this create a stronger hold. 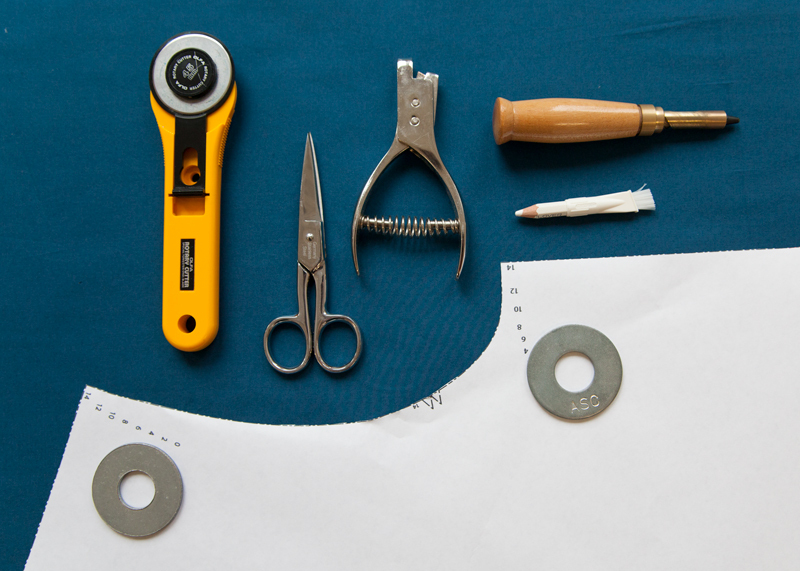 The standard is to sew 1/8” away inside the sewing line. If your seam allowance is 5/8”″, stitch 1/2″ away from the raw edge.” I can see how you got confused. I will edit it to be a bit more clear. 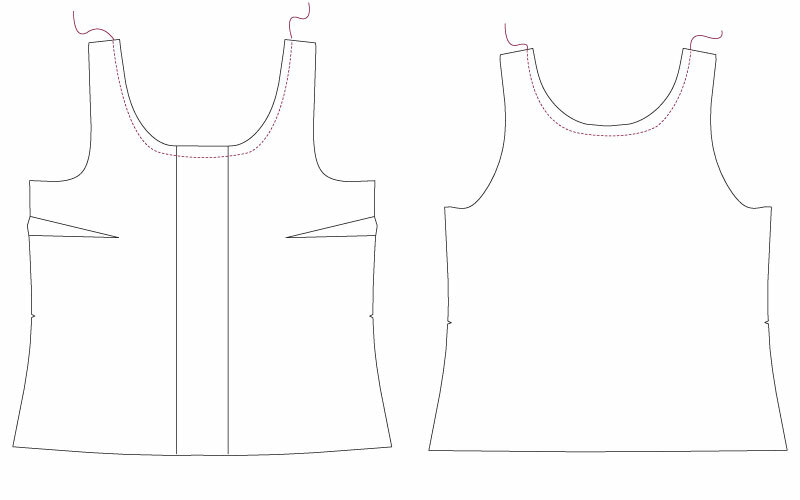 The New Sorbetto instructions call for staystitching to be done 1/4″ away from the raw edge of the neckline. 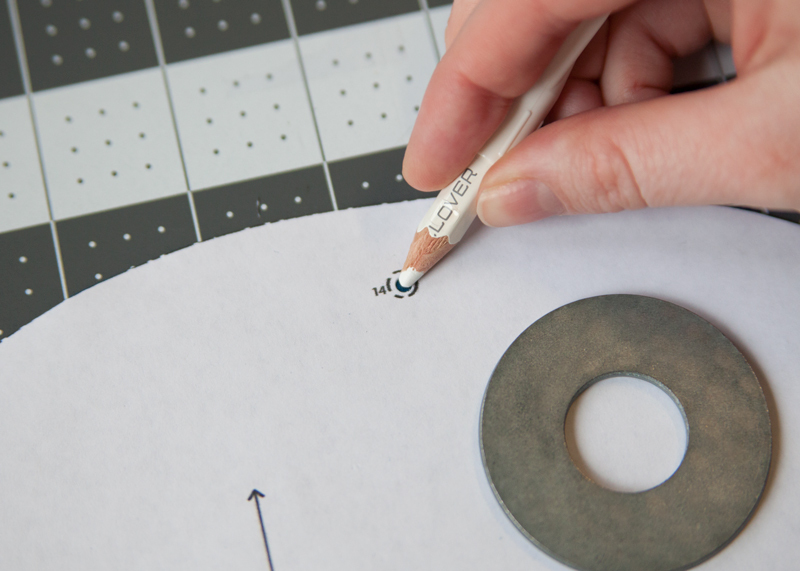 If you are worried about having to remove them after attaching the bias binding, 1/8″ works as well.